The Province of Almeria was populated by Neolitic and Palaeolithic civilisations who left their traces in the Almanzora caves. 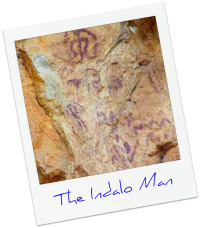 Thus, famous cave paintings were found in the cave 'Los Letreros' in Velez Blanco, like the INDALO that became the symbol of the entire province. 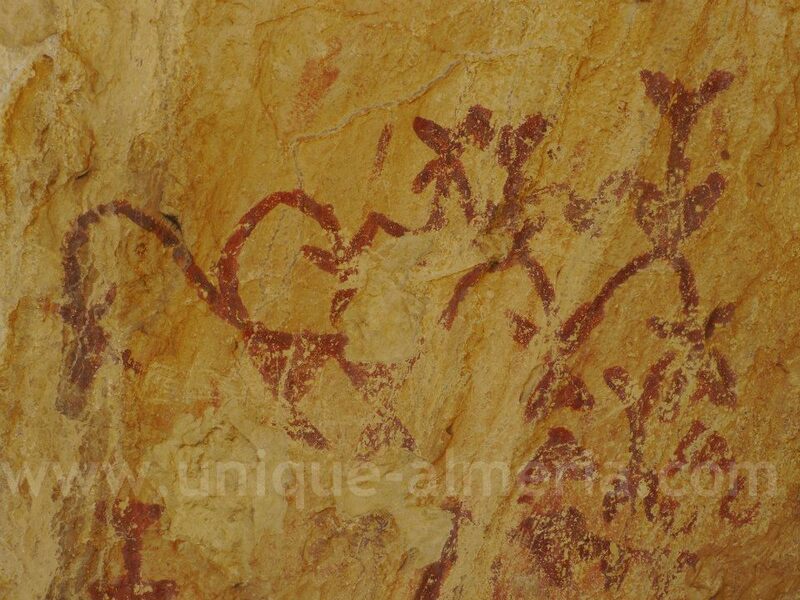 All these cave paintings were declared 'World Heritage' by the UNESCO. However, it is the Ambrosio Cave, that recalls the most ancient settlers, a prehistoric community which settled in Los Velez more than 18.000 years ago. 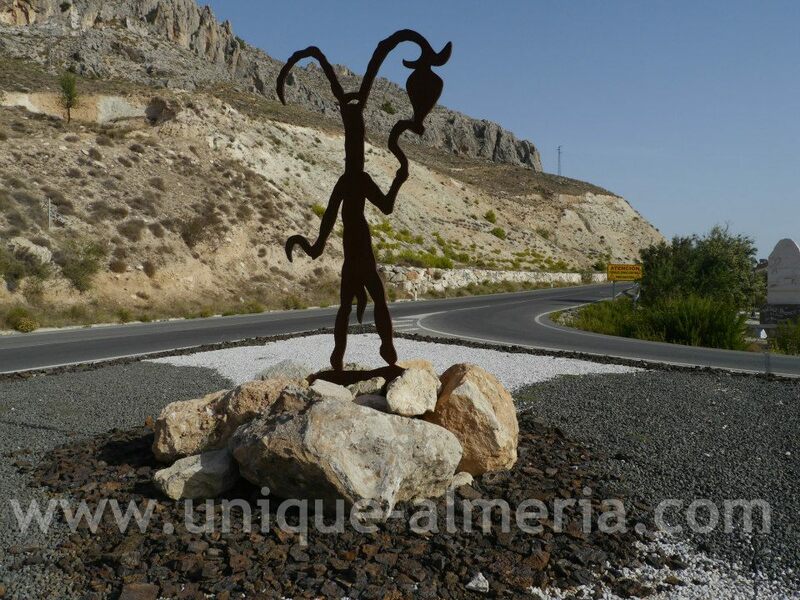 Everybody knows the famous Indalo, the Good Luck icon of Almeria Province. But interesting enough, this icon, called "El Brujo" (The Sorcerer) was found in the same cave, right next to the Indalo (The Rainbow Man) in Velez Blanco. "El Brujo", at the entrance of the town "Velez Blanco"
In total there are 25 cave painting sites in the Los Velez region, distributed between the the towns Maria, Chirivel, Velez Blanco and Velez Rubio. 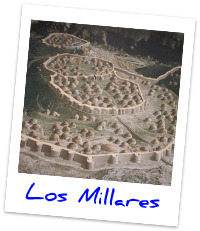 Before you actually visit the Los Millares site, located in Santa Fe de Mondujar, I highly recommend you to visit the Archaeological Museum in Almeria city first. It covers Almeria's history as well as its ancient civilizations from Prehistory to the Muslim period. During the Bronze Age,the eastern area of the Province of Almeria, namely Levante area was populated by an equally influential culture, El Argar. Archeological sites were found in the town of Antas. A characterisitic pottery style was developed. Their necropolises were more developed than those of 'Los Millares' and agriculture and livestock breeding became more diversified. I promise to use it only to send you the Almeria Newsletter.